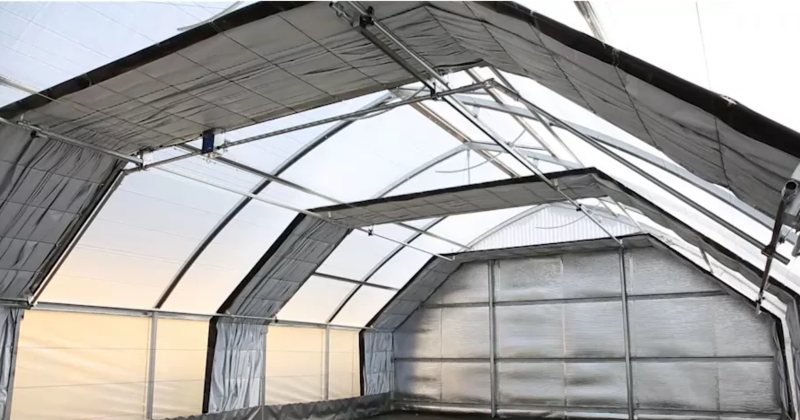 The Sola Greenhouse Frame CL series is a greenhouse frame that give you the option to control the amount of light or lack there of (light deprivation) desired. 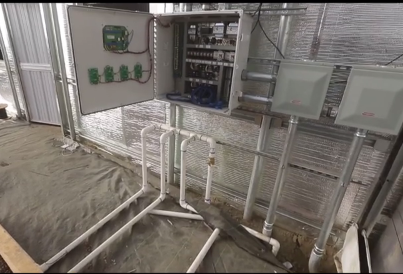 Light sensitive crops thrive in this automated light deprivation greenhouse. What makes this Sola Greenhouse Frame CL series so special? 9 1/2" rollformed arches are 438% stronger than traditional 1 3/8" 16-gauge round tubing. HAF Fans, Exhaust Fans, Motorized Inlet Shutters with Light Traps. Steel end walls for a complete light seal and light reflecting insulation on both end walls for increased production from optional grow lights when closed, and from sunlight when ridge vent and sidewalls are open. Peak Heights Per width/Sidewall: 12'-10", 14'-6"
Artificial sunlight for your crops with a full HPS grow light system complete with controls and suspended track to hang the lights. Let's talk about greenhouse frames! Do you have a quick greenhouse structure question? Ask away below. Cheers!